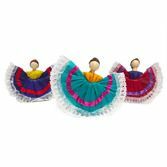 These beautifully hand-made dancers are a great accent for any festive get-together. 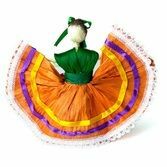 Our authentic, corn husk dancers are hand-made in Mexico by experienced artisans. 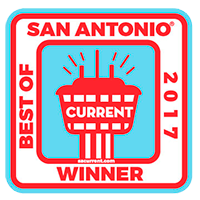 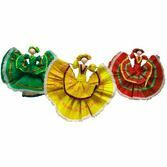 This is an authentic decoration for a Fiesta party and is also a great collectible item. 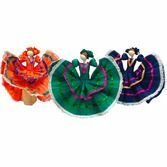 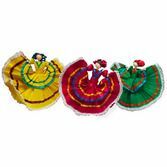 Our Folklorico Dancers are a great addition to a party table centerpiece as well as a fantastic party favor to hand out to your guests.